Teaching is an important part of my life. I’ve spent the last 12 years working in higher education. Although I’ve always intended (or hoped) this blog would document some of this work, I am amazed at how few posts are actually directed dedicated to the work conducted in the classroom. As most would expect, my interdisciplinary research and broad range of interests informs my courses–most clearly identified by the fact that I teach in English, History, Visual Arts and Communications. Since returning the university as a doctoral student, there have been numerous semesters where I find myself teaching the same period or the same topic from a different perspective or department. 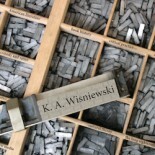 One course examines the rise of the novel and periodical literature in nineteenth-century America; another investigates how the Industrial Revolution transformed printing, typography, and design; and yet another looks at the economic and cultural changes in America–the transformation of the West, the rise of big business and the American city, etc. In teaching these courses over the years, it should also be acknowledged how teaching informs my research. In 2008, while working as Assistant Professor of English at Cecil College, I started teaching a series of themed rhetoric and composition courses, ranging from Digital Literacy to Environmentalism to Race & Identity. Courses of race (offered from 2006-2008), in particular, by far proved the most challenging as each of us in theses courses faced a series of difficult questions that went beyond confines of intellectual and abstract discourse and sometimes led to uncomfortable situations. In some of these course sessions, I was incredibly grateful to the then Dean of Academic Programs at the college for taking an interest in what I was attempting and for sitting in and contributing to discussions. With his efforts, we balanced a range of paradigms and perspectives: race (black & white), geographical region (southern and northern), developed communities (rural and urban), age, discipline, experience . . . The earliest rendition of the course was text-heavy–reading works often including in Composition textbooks, including Martin Luther King, Malcolm Gladwell, George Orwell, Brent Staples, Patricia Hill-Collins, Eduardo Bonilla-Silva, Jared Diamond, and Sherman Alexie. As a transition from the classic (historical) essays to the contemporary, I played the 2004 Paul Haggis film Crash, starring Don Cheadle, Sandra Bullock, and Matt Dillon. By the second semester the course was offered, I experimented more in my approach bringing in more and more work from popular culture and, specifically, television, work that most of the students had probably already seen on their before the class. This created the added challenge of deconstructing work that they generally did not associate with academia and arguably read instead as entertainment. These including the work of stand-up comics like Dave Chappelle, Jeff Roxworthy, and Margaret Cho, as well as clips from The Axis of Evil Comedy Tour. The class and its incorporation of pop culture never seemed more relevant. That semester, Don Imus been fired after referring to the Rutgers University basketball team as “nappy-headed hoes”, and just the previous fall a clip of Michael Richards, of Seinfeld fame, using the N-word in a stand-up performance had gone viral. After a few short talks on my experience in Philadelphia and New York, I was asked to contribute to an anthology on teaching popular culture in the college composition classroom. Not long after that, I began work on a book on the comedy of Dave Chappelle. After completing three chapters (and reading the newly released book Laughing Mad by Bambi Haggins), I rethought my project, deciding the best approach was to mirror the conversations held in class and to open up the work to a number of perspectives and writers by collecting a series of essays . 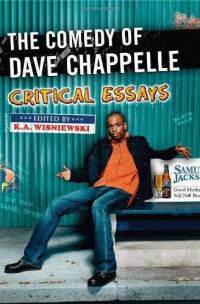 . . leading to The Comedy of Dave Chappelle: Critical Essays. Fast forward a few years–I left my tenure-track position to pursue doctoral studies and return to my roots in studies on the history (and future) of the book and publishing… Earlier this year, I shared a post on my work (with Dr. Lindsay DiCuirci) on an AAS-sponsored Mill Girls Exhibition, part of the course “Scribbling Women & the American Periodical”. Grateful to be a part of this work, I quickly realized that this course component was as much about management as it was course material and content, balancing readings and writing assignments with another set of skills related to archival research and curation, coding and design, and, of course, learning the interests, expertise, and (in)experience of individual students and both institutional and platform restraints. This year, I’m teaching a new course in the Visual Arts Department at UMBC entitled “Origins and Issues in Design” (ART 335). A new course blog can be found at https://coursedesignmatters.wordpress.com. 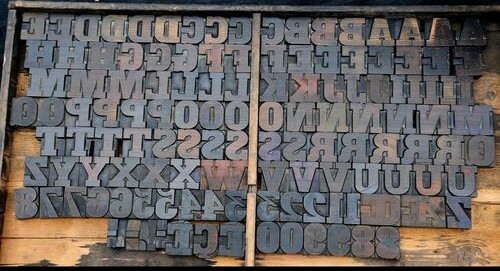 The course is ambitious, covering the Gutenberg printing press through contemporary practice, and examining the interrelationships between graphic, industrial, interior, and architectural design. With a new course comes a new set of challenges. Designated as a Writing Intensive course at the university, the challenge is to find some balance between introducing students to a broad range of movements and styles (and their histories and relationships to each other) while working with them to improve their writing. Although the majority of their work will be submitted via the course Blackboard site. I thought it might be a good opportunity for students to gain some experience with another content management system, thinking that may one day soon like to begin to publish their own sites and online portfolios. Moreover, it is chance to broaden their range in writing styles, going beyond the descriptive essay or formal research paper and write in more familiar or personal prose to a wider audience–and on topics that most interested them. The Course Design Matters site is mostly comprised of supplemental work, materials that showcase students’ range of writing and interests. Posts include students’ responses to a particular idea, movement, style, artist or work covering in our weekly sessions and offer a closer look into a particular design/designer mentioned in lectures. Students will also bring in outside, presenting some criticism or personal thoughts and making connections between the impact or relevance of works/events/players discussed and latter movements, the contemporary, or their own work. Occasionally, this blog will also serve as a place to share news of local events or student progress beyond the classroom, the course, and the university. At the end of the semester, students will post a review of a recent monograph, art book, or exhibition catalogue. This entry was posted on September 26, 2016 by k.a.wisniewski in Art, Comedy, Composition, pedagogy, Teaching, Work Report / Progress and tagged Art, blog, Design, History, pedagogy, race, Teaching.